One of the brilliant things about the holiday season is the number of special edition colours and palettes that makeup companies release. It's enough to tempt any beauty aficionado into spending some of her Christmas budget on a new indulgence for herself! In a sea of beautiful limited release compacts, the Givenchy Les Ombres de Lune Shadow and Light Eyes palette ($64; exclusively at Sephora) stands out by virtue of its elegance, versatility and simplicity. Nicolas Degeness, artistic director of Givenchy beauty, set out to create a product that captures the femininity and softness, the light and shadow, embodied by the moon. Judging by Les Ombres de Lune, it looks likes like he succeeded. The palette is for more than just eyes though. The lighter powder also doubles as an all-over radiance-enhancing and face-sculpting primer. The lightweight talc-free formula goes on superfine, reducing the likelihood of creasing and that chalky powder texture effect other eyeshadows can have. The packaging is just as alluring as the product within: a sleek monogrammed compact with a slide-out tray containing mini brushes and swabs, perfect for touch-ups on the go. But once I got over that disappointment, I was pleasantly surprised with the product itself. The pigmented shadows blend and layer well, creating a unique pearlescent effect on the eyelids that's much more sophisticated than your standard shimmery eyeshadow. 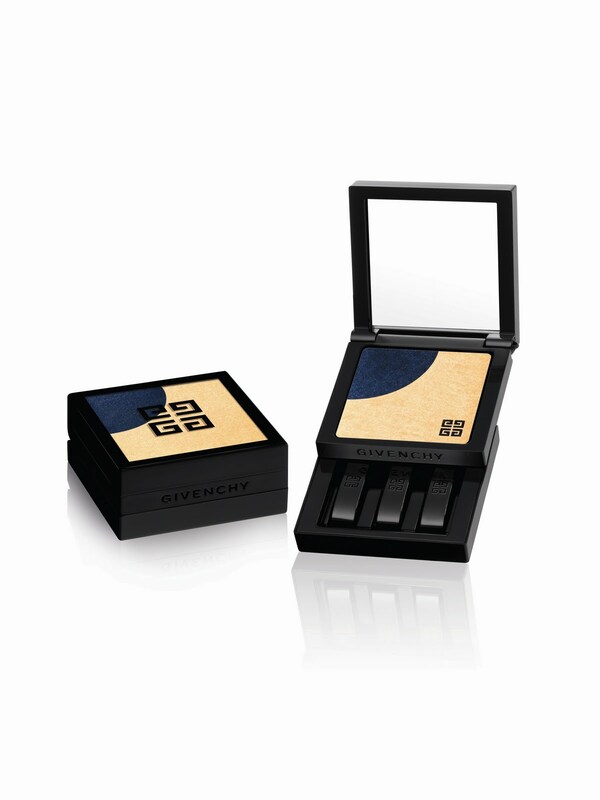 I also love the idea of using navy and gold to create a smoky eye--slightly unusual but very chic for holiday fetes. The brushes and swabs that came with the compact were a bit on the small side, but it's nice to know they're there in case I decide to take the compact with me when I go out. Les Ombres de Lune is also available in a black/creamy white combo (Lune Mystérieuse no. 1). If you're interested in buying one for yourself or a friend, I suggest hightailing it to your local Sephora asap before this limited edition palette is gone, gone, gone. It's very pretty! I would want one for myself but since I have long bangs, I never wear eyeshadow anymore. I see L has been put to work again, haha. You look cute in the leaves. So into the navy! I've been doing more of the bold lip look lately but that packaging could sway me. Such a sucker for pretty packages. I like how you are wearing it too! oh how pretty! i'm a sucker for great make up packaging!